Most likely a rat snake. I had no other angle but this to get a shot, without bothering him. It’s an interesting closeup. The flower petals are from some type of tree growing on the edge of the swamps. I took the shot and left him to his nap. 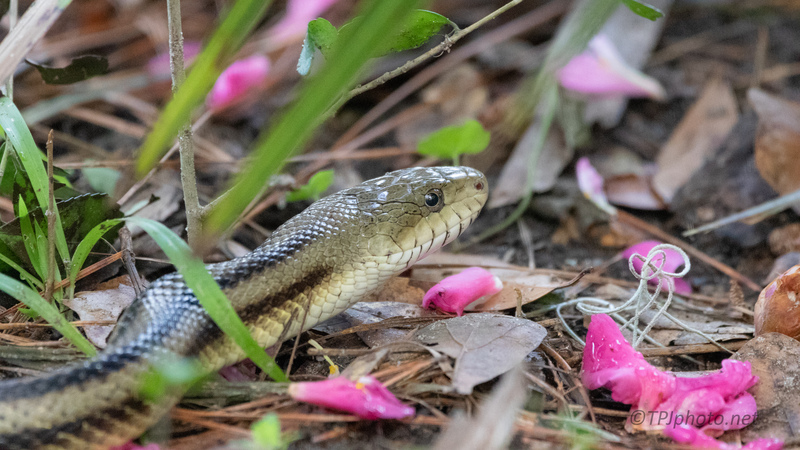 The green leaves and pink petals around his head really make this a lovely composition. Being from the north I’m always surprised to find things in bloom around here this late in the year.